Heavy Wall tubing for a superior load bearing member to ensure maximum stability. Powder Coating that has been specially formulated for this product application. 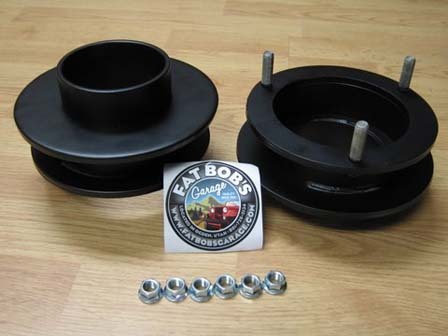 OEM Flange Lock Nuts are included with every kit to ensure a proper torque spec. can be met on install. Allows for up to 35" tires to fit without rubbing. Red Dodge Ram Photo Provided by C. Iachini of Woolrich PA. ProComp tires 35"x12.50x17 with no rubbing.